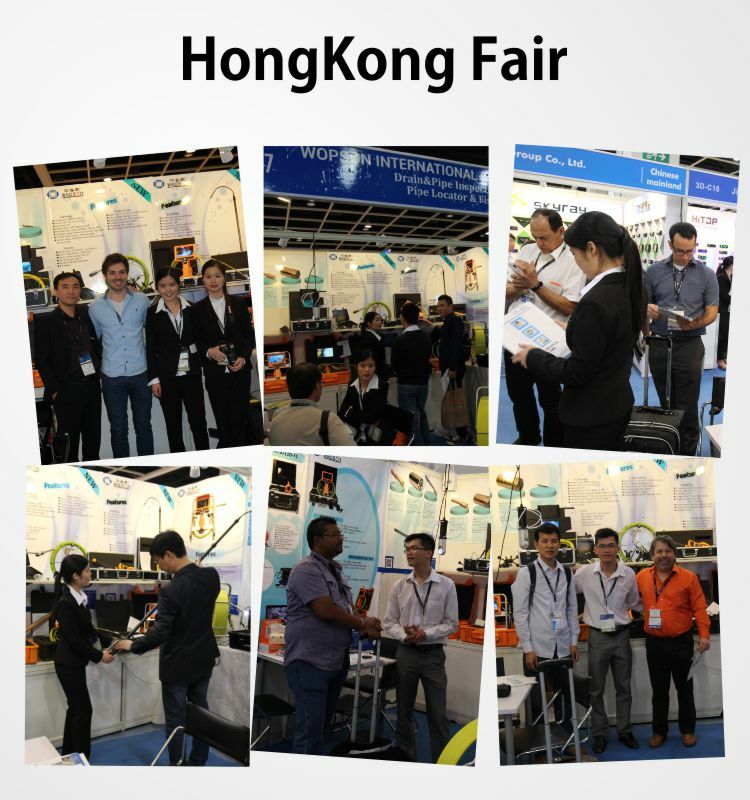 The pipeline periscope is used for fast video detection, and the interpretation and analysis can be combined with the "Pipesight Pipeline detection and video Interpretation report Software", which can generate test reports and intuitive electronic maps that meet various evaluation criteria. 2. 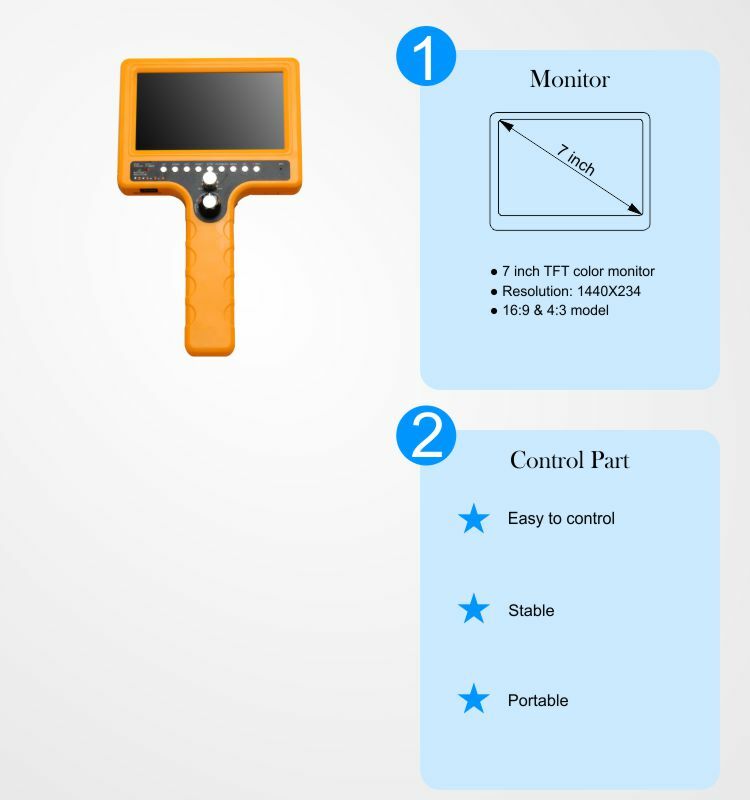 Display: 7.0 "high brightness wide viewing angle display, Chinese and English interface optional;"
3. The extension rod quick connection design, may lengthen to 40M. 3. Unique disassembly design, can be loaded directly into the rod package. Length: The standard length is 10 meters, can be customized lengthened. 4. Size: 510mm * 430mm *240mm. 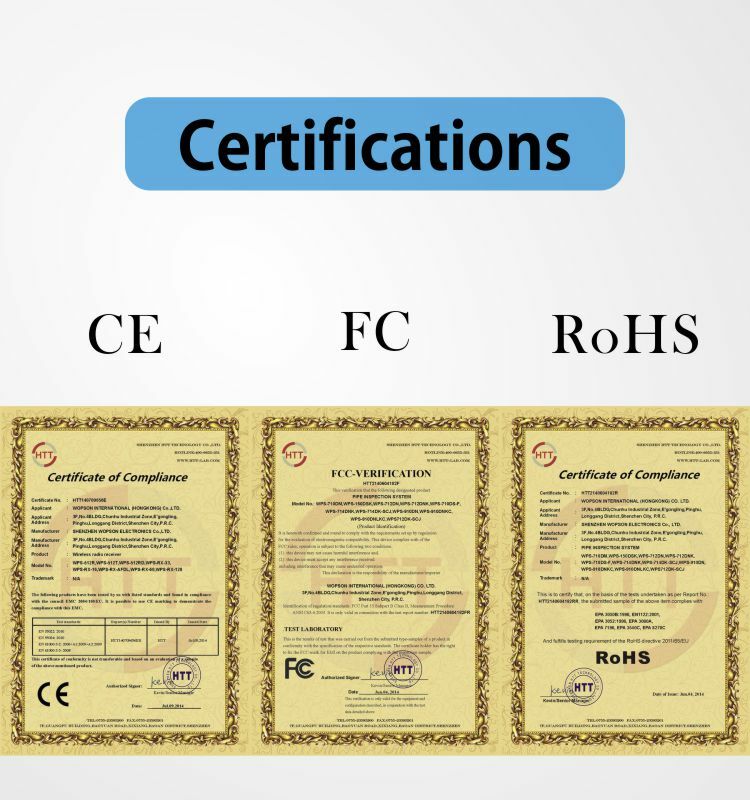 Portable: Strap-type design, back, can be mentioned, portable portability. Real-time high-speed measurement, ranging results displayed in the video screen. The carrier frequency is 2.4GHz. The detection information can be collected in the field, and the GPRS network is uploaded to the server for classification and storage. It can ensure the uniqueness of pipeline inspection results in four-dimensional space. 1. The detection of video files for playback preview, add detection information, the interception of defective images, interpretation description, etc. 3. We can export the Shapefile interface data of GIS platform, provide the electronic map lookup function, mark the location of the job point in the electronic map, check the corresponding detection data, interpret information, defect picture and detection video. 4. The defect distribution map can be exported to Web page format for data reporting and reading. 1. 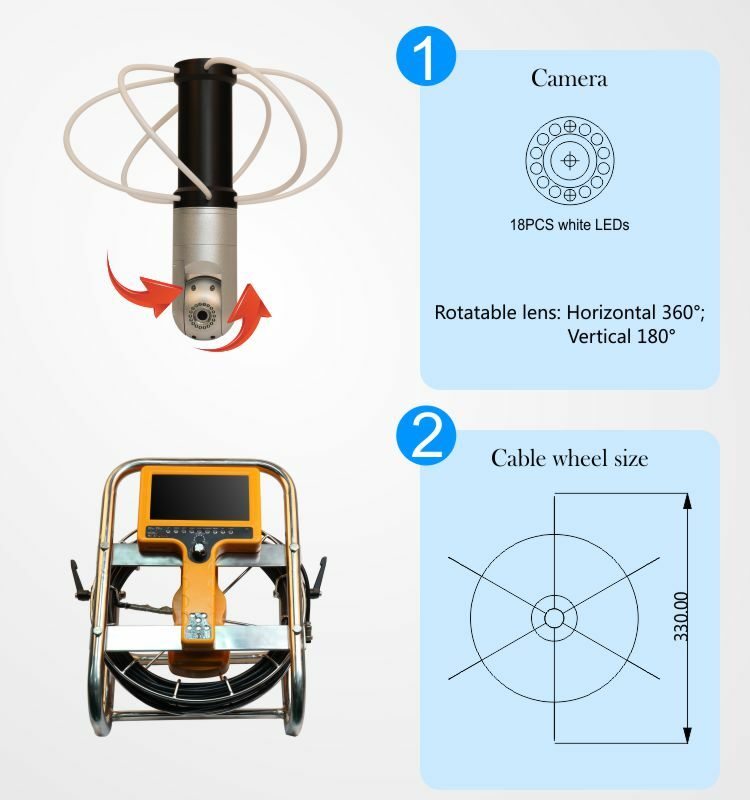 It is mainly used for collecting, uploading, storing, analyzing and consulting all kinds of pipeline inspection data. 3. PIMs has the flexibility to expand the function, expands the development according to the demand, integrates the more business function.